1st Alabama All-Girls Championship - "Huge Success!!" Statistically, there is a 1-in-12 chance to play a woman in any given rated chess game. 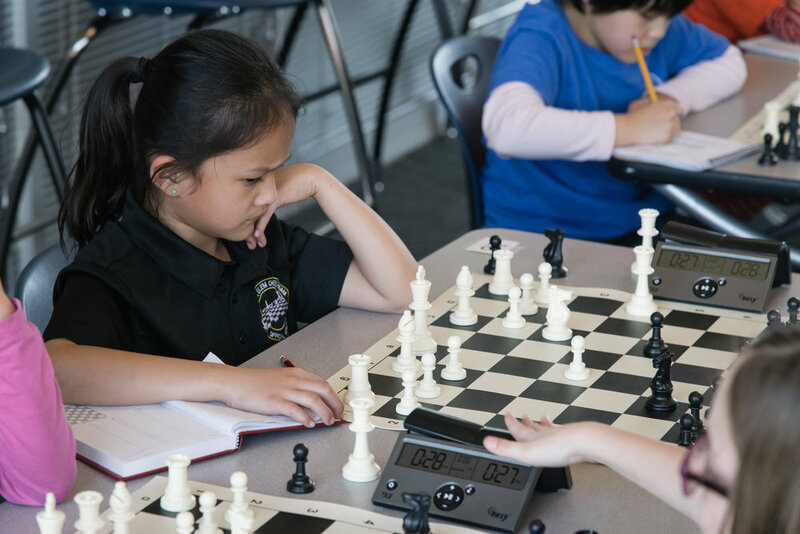 Women make up only 8.51 percent of FIDE players around the world, and the numbers aren't much better in the United States Chess Federation. That is why a tournament dedicated only to female players is truly a pearl in the desert! 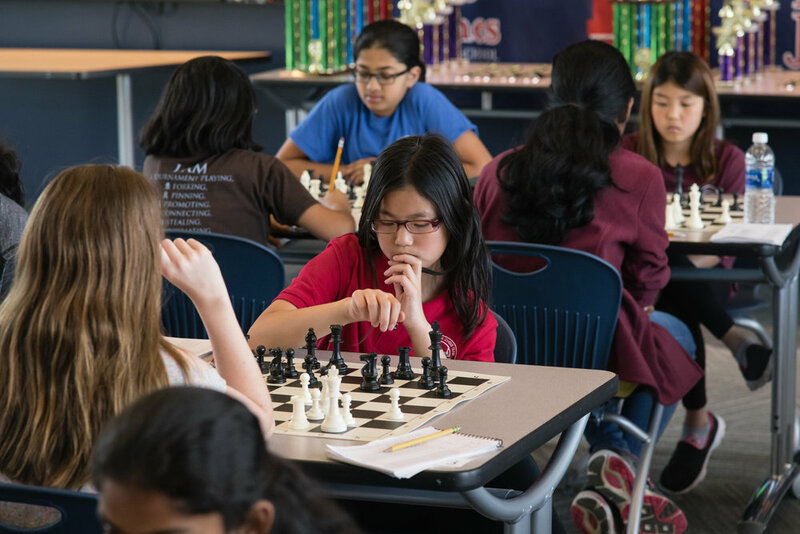 As has been their trend recently (for the new "grade-championships" report from last week, click HERE), the Madison City Chess League (MCCL), in partnership with Bob Jones Highschool Chess Club and the Alabama Chess Federation (ACF), put on Alabama's first official state championship for girls...ONLY! 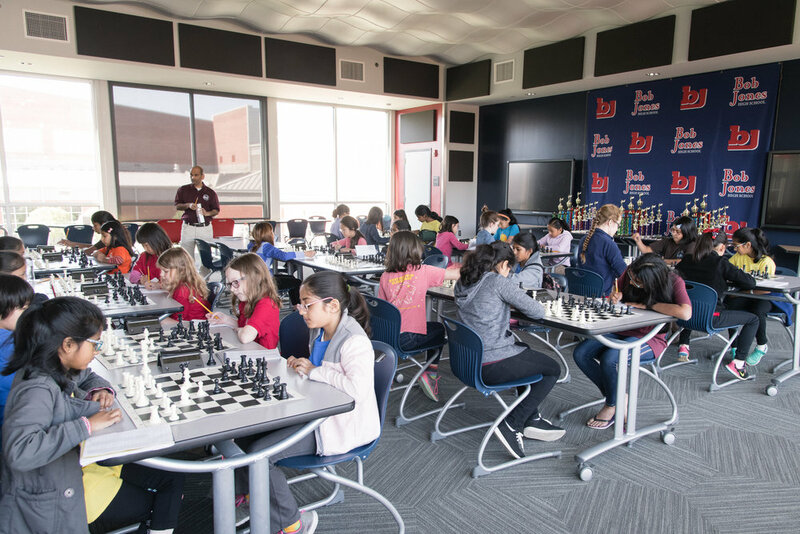 Bringing out a staggering 46 competitors, which was larger than the 2017 Alabama Dual-Rated Chess Championships, the tournament was dubbed a "huge success" by MCCL and chief tournament organizer, Ranae Bartlett. After the dust settled, pre-tournament favorite Sarvagna Velidandla took home clear 1st place in the open section with a score of 3.5/4.0. Velidandla (1693) started off with a shaky draw against Grace Billmann (937) before coming back in the last round to defeat the then leader and second-place finisher Constance Wang (1407). Velidandla is now expected to be given the invitation to the national all-girls championship this summer. 1.e4 c5 2.c3 d5 3.exd5 Qxd5 4.d4 Nc6 5.Nf3 Bf5 6.Be3 e6 7.Nbd2 cxd4 8.cxd4 Nf6 9.Bc4 Qd6 10.0-0 Be7 11.Rc1 0-0 (Diagram) 12.Nb3!? At the professional level, Nb3 could be called a strategic howler. You must ask what is the knight doing on b3 and what is the bishop doing on c4? Best is definitely to move the Bishop back to, say, e2 or b3, and then follow that up with Nc4. When you start to play stronger and stronger players over 1500, just developing and not blundering isn't going to cut it. Making your pieces work is the only way to win! 12...Rac8 13.Bd3 Bg6 14.Qd2 Nd5 15.Rfe1 Bxd3 16.Qxd3 Ndb4 17.Qd2? This is probably the point that Wang went from worse to losing. White had to play 17.Qb1 and a3 to keep the pawn, and she still is kicking. Now the game is close to decided. The game was comfortably won Sarvagna with little error from the champion. In the K-6 section, Nirvana Rajbhandari (902) dominated with a perfect score 5.0/5.0. For her efforts, she was rewarded with 130 rating points and the tallest trophy. The following was her best game. She upset 4th place finisher Oviya Gowder (1059) in the final round to distance herself from the rest of the competition. 1.d4 e5 2.dxe5 Nc6 3.Nf3 Qe7 4.Bf4 Qb4+ 5.Bd2 (Nc3!) Qxb2 6.Nc3 Nb4 7.Rc1? Tough in this position is to realize that white is simply much better, her development for the pawn cannot be under-estimated. 7.Nd4! would have secured her a massive advantage. If she followed up with finishing development and castling, her developmental advantage would be decisive. 7...Bc5? (Just Nxa2 is even) 8.Na4! Bxf2+ 9.Kxf2 Qa3 10.Nc3 d6 11.e3 Ne7 12.Bc4 0-0 13.Rf1 dxe5 14.Nxe5 Qa5 15.Nf3 Qf5 16.Kg1 Nbd5 17.Nxd5 Nxd5 18.Bxd5 Qxd5 19.Bb4 Rd8 20.Be7 Rd7 21.Bg5 h6 22.Qxd5 Rxd5 23.Bf4 Bg4 24.Bxc7 Re8 25.Rce1 Rc8 (Diagram) 26.e4!? Up to this point, Rajbhandari has successfully built up her position to the max, now with the more precise 26.c4!! the game is all but decided. The rook simply has no squares to move to allow a future Rxc4. For example, if 26...Rh5 27.Bg3 Rxc4? 28.Ne5! Ra4 29.Rf4 Rxf4 trades a pair of rooks, leaving black without any pieces left for an attack. White could then safely clean up. The only way black can get back into the game is with a double rook attack on the second. To create counterplay in worse endings, two rooks are some of the defender's best options. In the K-3 Section, Oviya Gowder's sister, Laya Gowder finished with top honors with 4.5/5 total points. Vedika Shenoy came in second with Emma Kuang, Samsara Rajbhandari, Christina Yang, Sarah Rydbom, and Advitya Kana coming in a massive T-3. Bartlett commented that "the girls were just all smiling, even after losses, it was like they were just having so much fun!" With such a positive report, and with the huge turnout, it is undoubtedly that this tournament is a sticker. For more information about both of the organizations behind this amazing event, click on the links below. Did you enjoy this report? Are you looking for a professional style coach to help you analyze your games or get you on a training plan? I would love to be that coach for you! 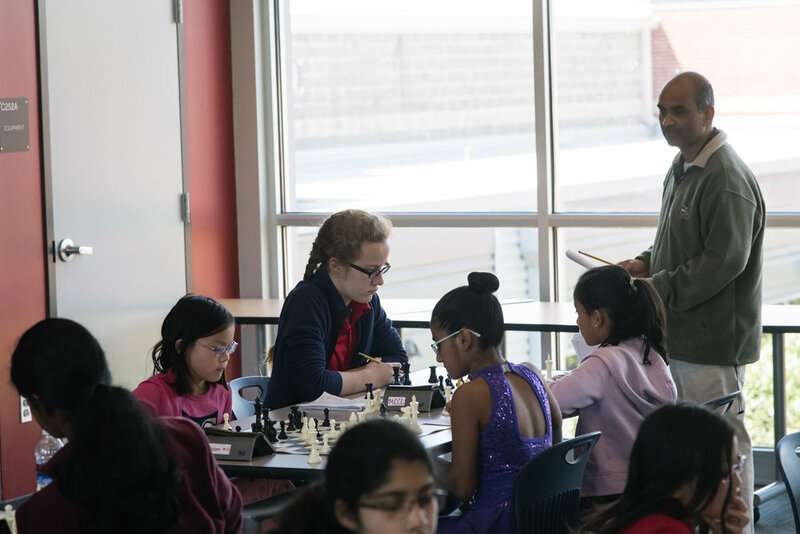 As a coach of state champions, with unbeatable rates, a rating over 2000, and experience working alongside top chess coaches, I believe I might be the right coach for you! Get more information by clicking below to take you to my contact information.